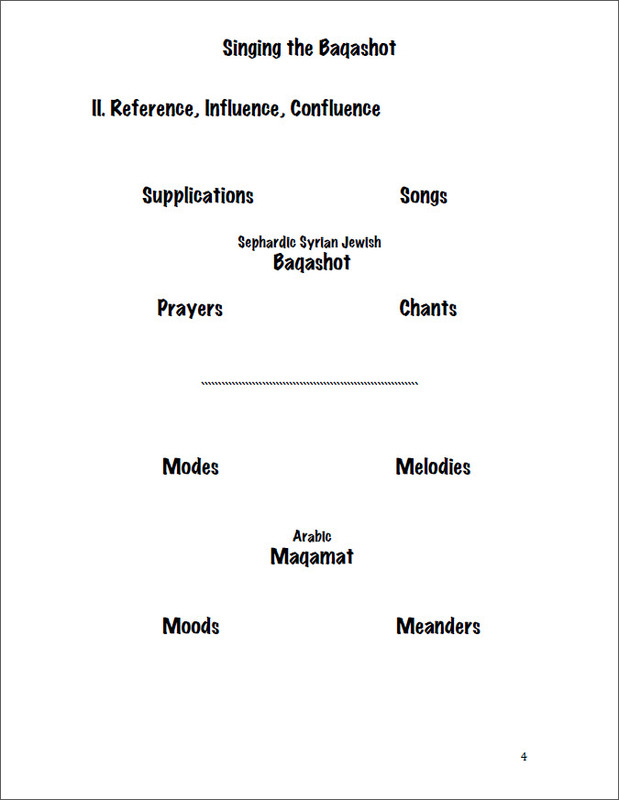 Yitzhak Yedid remarks that during a synagogue service the congregants may chant and sing in quasi-unison alongside the cantor, thus spontaneously and intuitively generating heterophonic variations from the monophonic melodies of traditional prayers and Piyyutim. 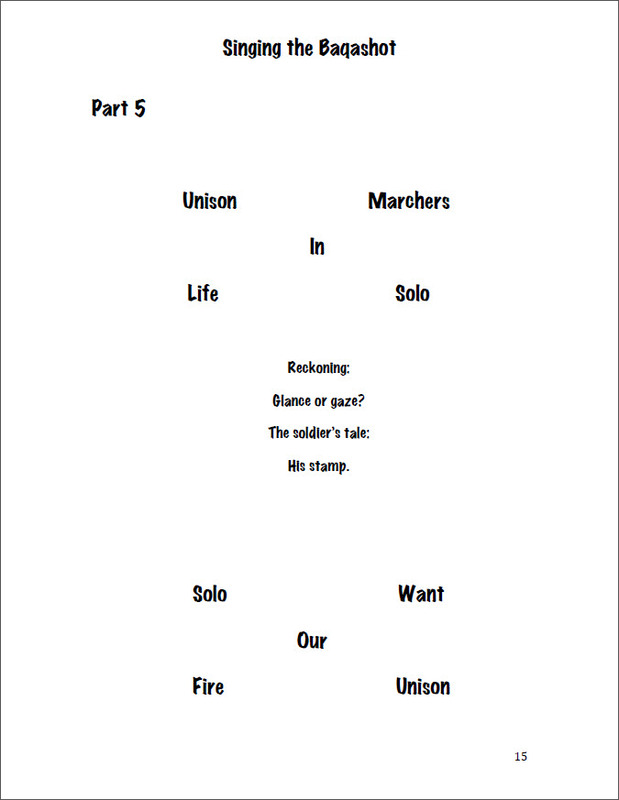 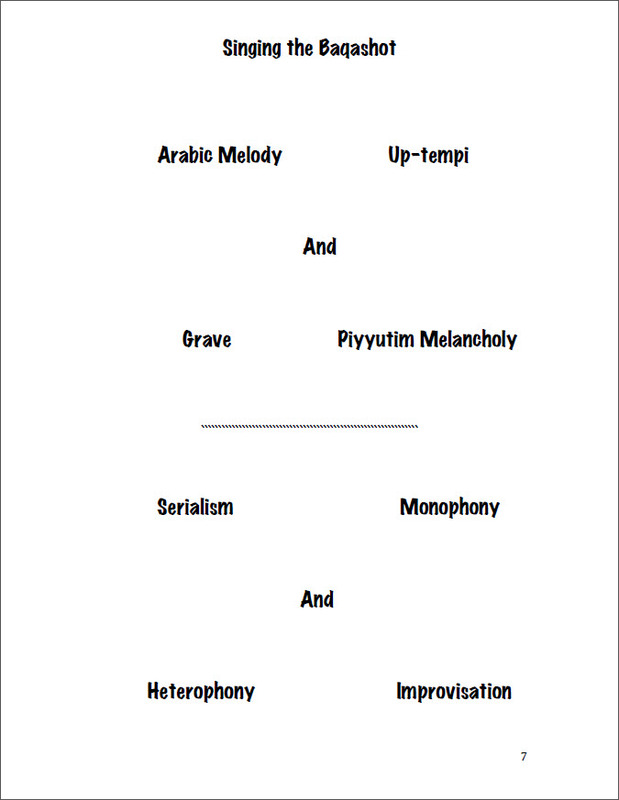 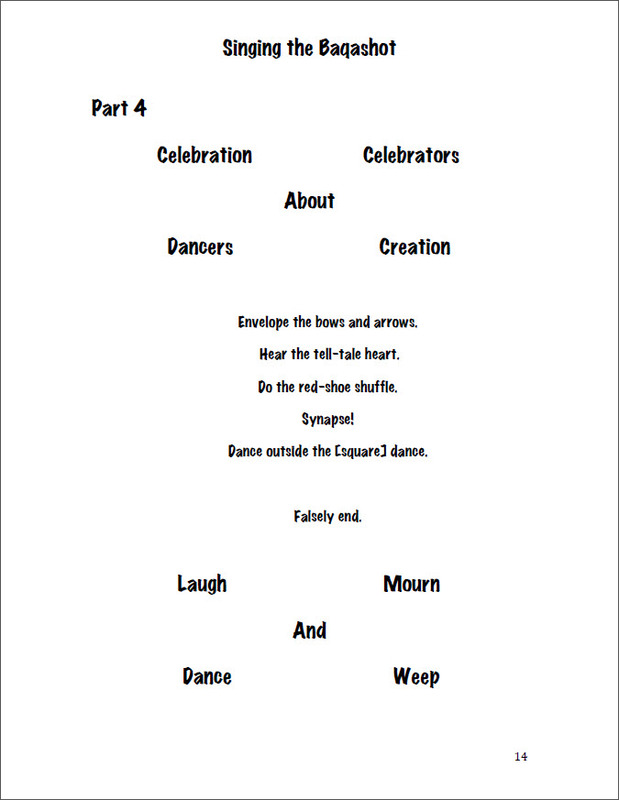 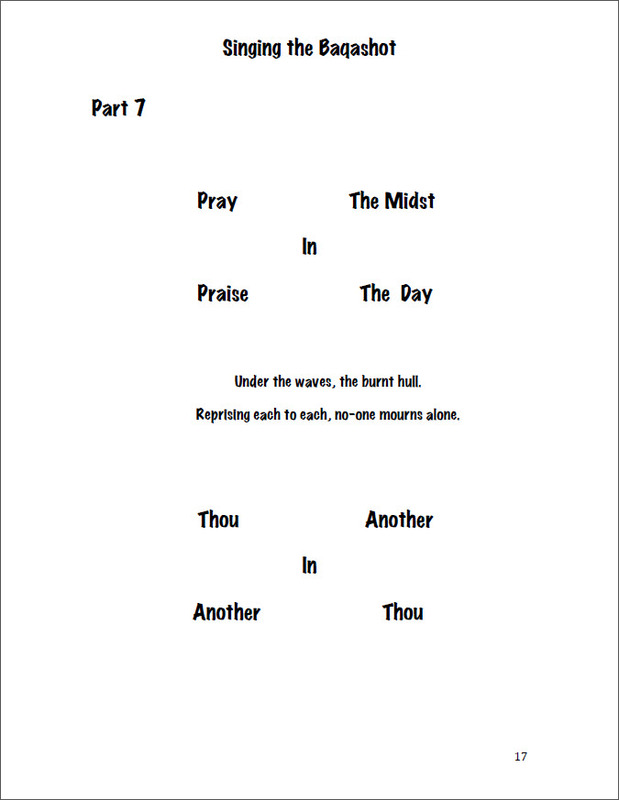 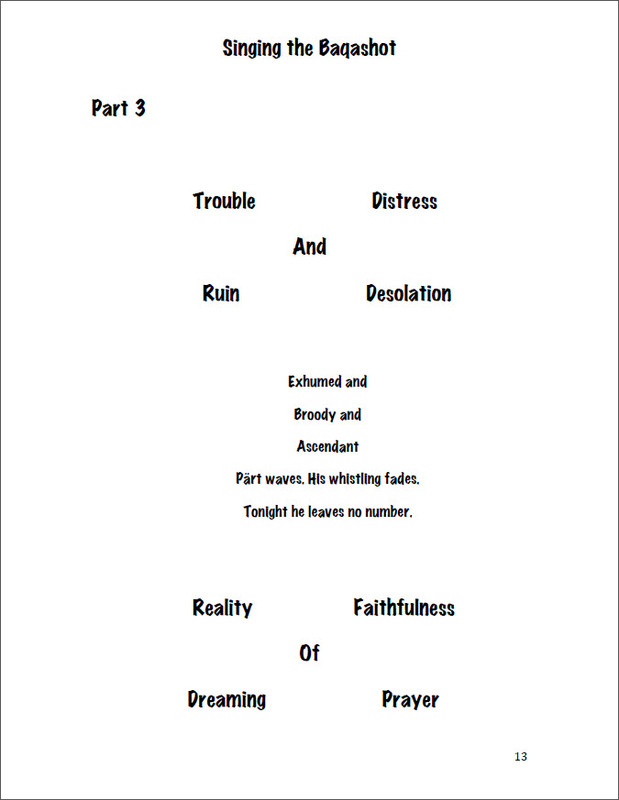 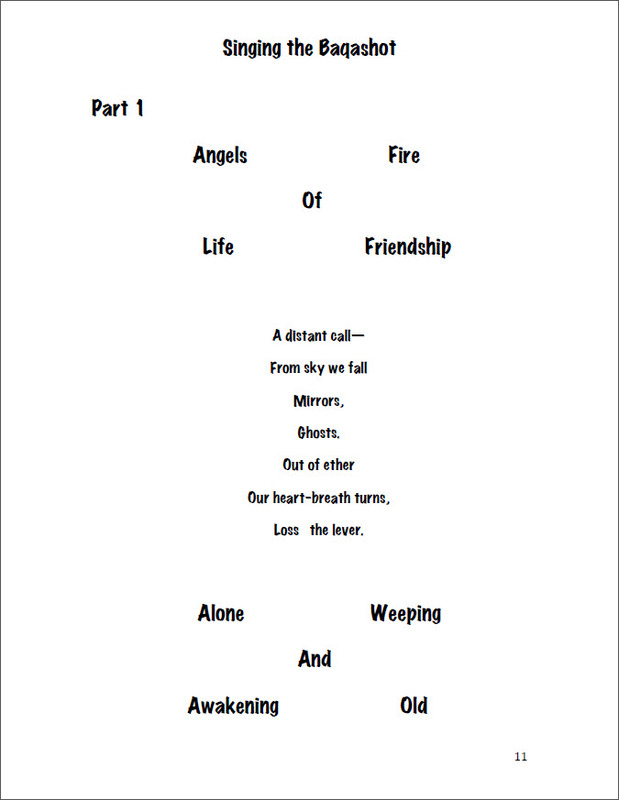 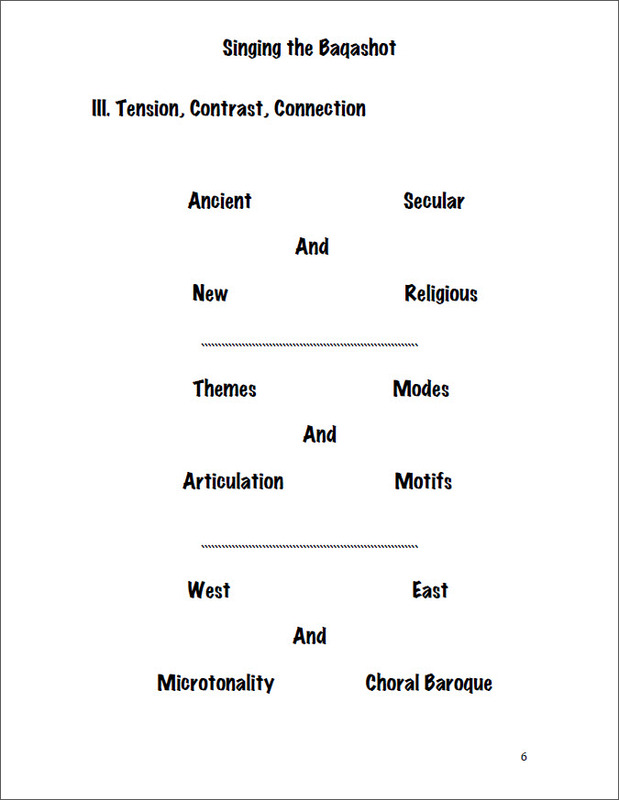 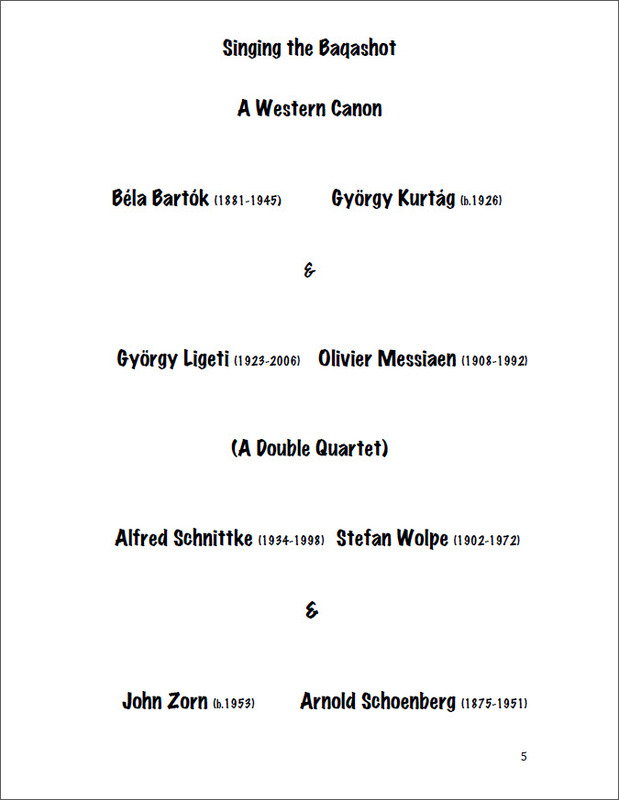 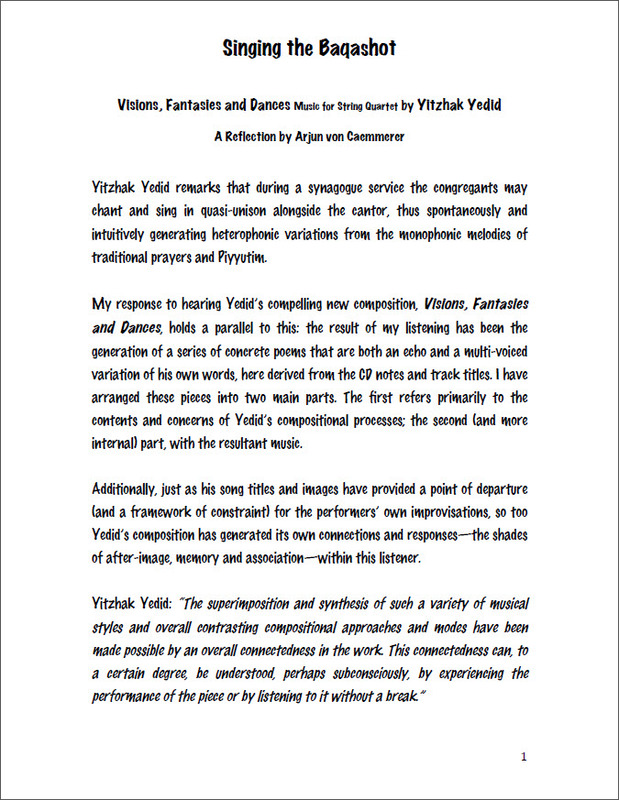 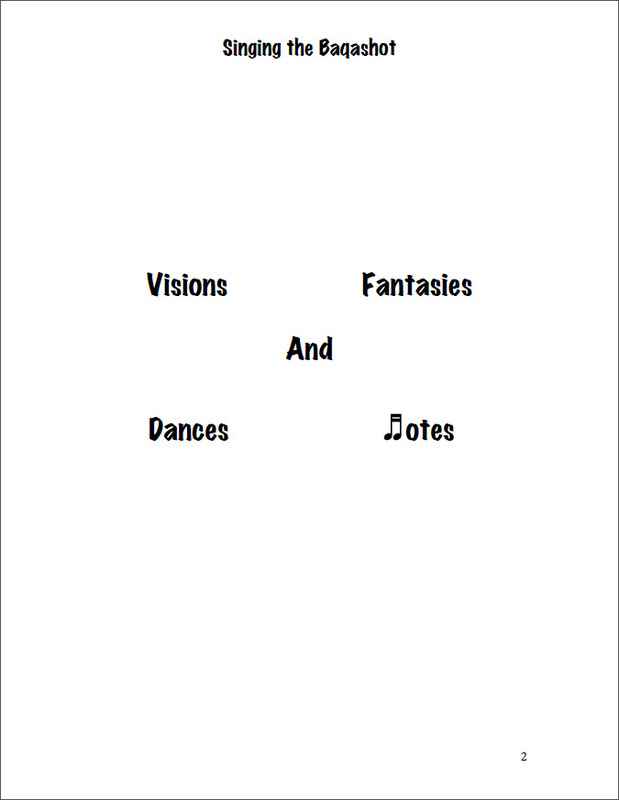 My response to hearing Yedid’s compelling new composition, Visions, Fantasies and Dances, holds a parallel to this: the result of my listening has been the generation of a series of concrete poems that are both an echo and a multi-voiced variation of his own words, here derived from the CD notes and track titles. 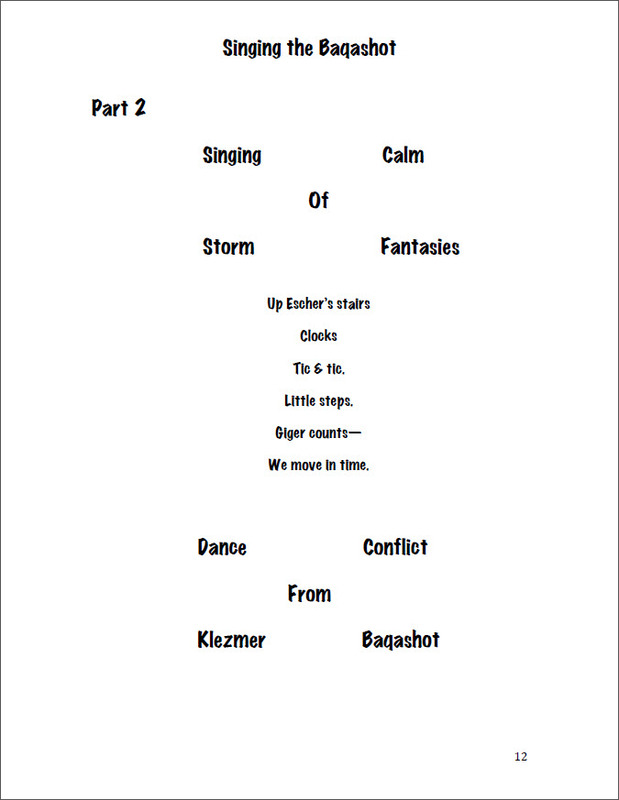 I have arranged these pieces into two main parts. 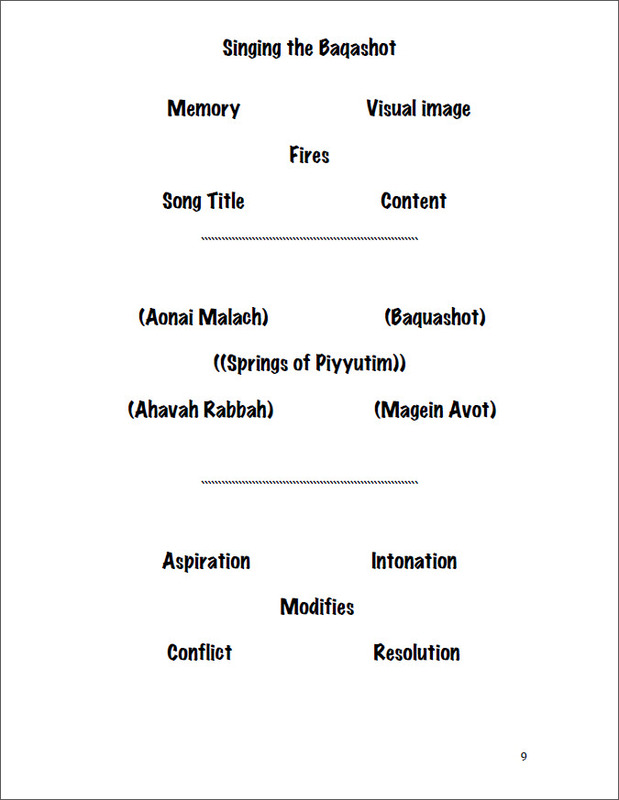 The first refers primarily to the contents and concerns of Yedid’s compositional processes; the second (and more internal) part, with the resultant music. 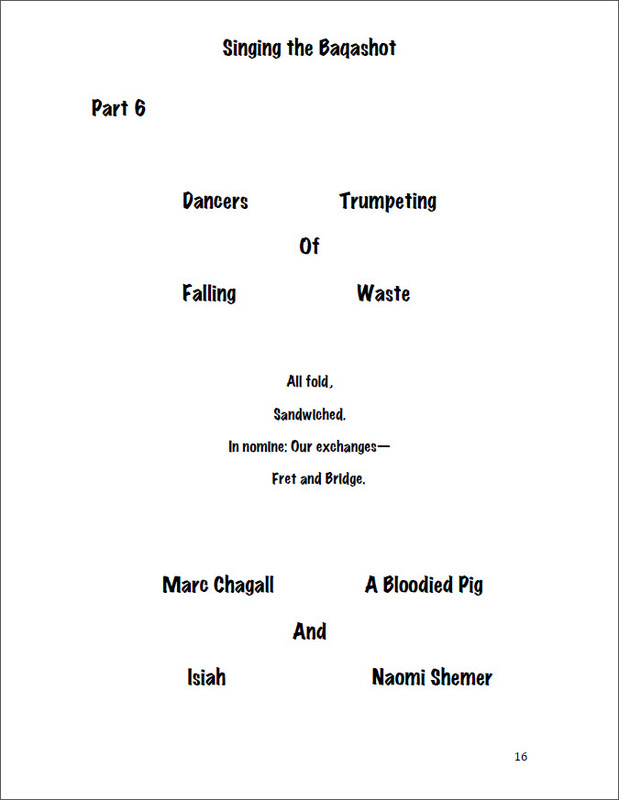 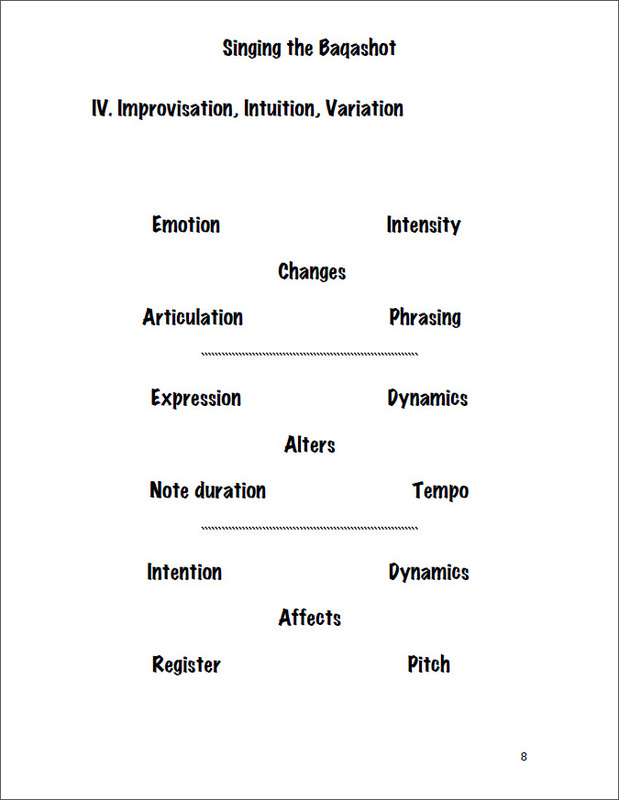 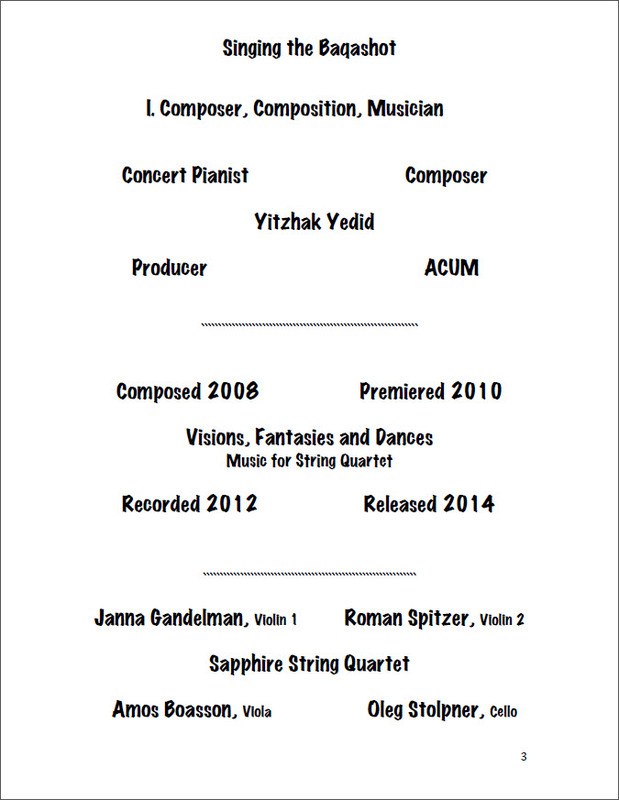 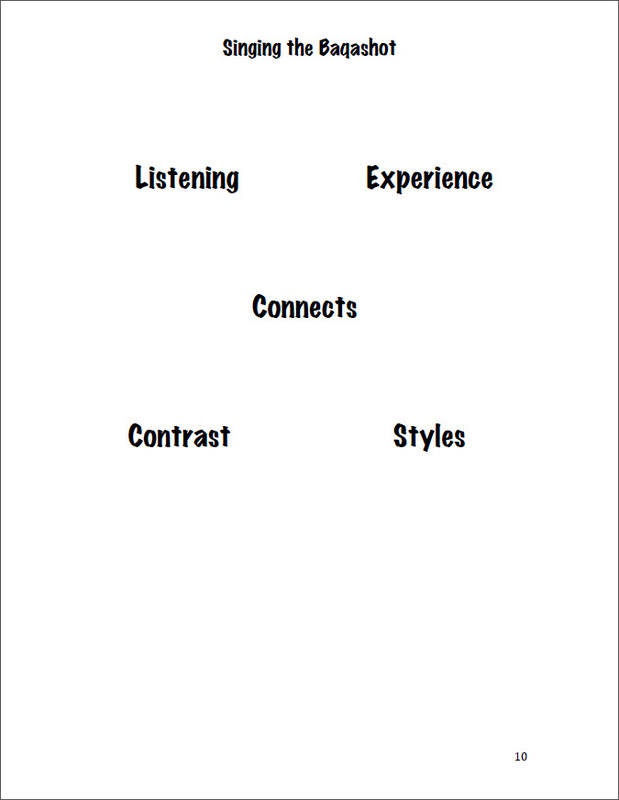 Additionally, just as his song titles and images have provided a point of departure (and a framework of constraint) for the performers’ own improvisations, so too Yedid’s composition has generated its own connections and responses—the shades of after-image, memory and association—within this listener.